Sigma Tau Delta is the International English Honor Society, an organization that confers distinction for high achievement in English language and literature in undergraduate, graduate, and professional studies. A member of the Association of College Honor Societies, Sigma Tau Delta began in 1924 at Dakota Wesleyan University. There are over 700 active chapters located in Europe, the Caribbean, and the United States. 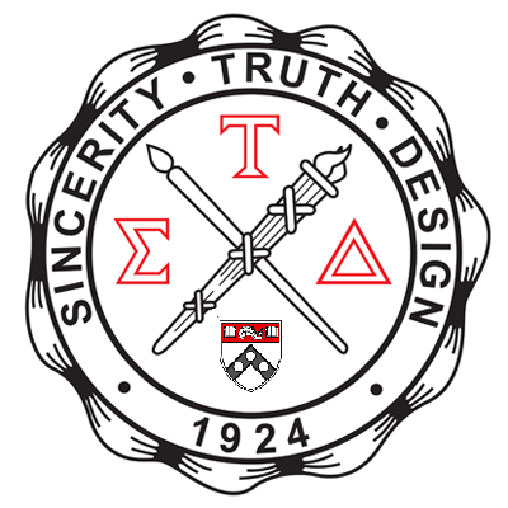 Founded in 2007, the Penn Chapter of Sigma Tau Delta seeks to recognize outstanding students of English at the University of Pennsylvania. Sigma Tau Delta provides a forum for students of all levels, including undergraduates, to share their critical and creative work. Members are invited to submit to Sigma Tau Delta publications, which are distributed to all active chapters: The Rectangle(literary magazine) and The Sigma Tau Delta Review (critical journal). Members also have the opportunity to give papers in a conference setting at the annual Sigma Tau Delta convention. Sigma Tau Delta uses member dues to fund a number of scholarships and writing prizes of up to $3000, including awards for graduate study, study abroad, published articles, and undergraduate seniors interested in teaching at the secondary level. Sigma Tau Delta has a strong—and often subsidized—internship network, including major publishing companies, the Washington Internship Institute, The Fund for American Studies, Women for Hire, and similar organizations. Undergraduates: Sophomores, juniors, and seniors with declared majors or minors in English are invited to apply. Candidates must have completed a minimum of four classes in English literature by the Spring semester of the application year (courses taken to fulfill the College writing requirement do not count). Applicants should have an overall GPA of at least 3.3, with an in-major GPA of 3.5 or above. Graduate students and Faculty members are also invited to apply. Applications for the 2019 cycle are now open, and due no later than, March 22 at noon. Applications must be complete and submitted directly to the English Department Office, Fisher-Bennett Hall, room 127, by the deadline, or they will not be considered.